Sometimes, as a student with a long term illness, you need to rant at someone – about how your health stops you from doing X, or makes it harder to do Y, or how abled people don’t seem to get it. As much as your friends might think they’re helping with unsolicited medical advice, interspersed with pleas to not generalise all abled people, the reality is this is not going to make anything better. Even before my health made my university experience less ‘normal’, moving to Cambridge as someone from a working class background – with the requisite accent – was interesting enough. Other students joking-not-jokingly mocking the cleaners (and thereby my family indirectly). Or, ‘friendly’ suggestions that I was a quota girl. I had gotten used to feeling out of place. I found refuge in making friends who also were from a similar background and shared my experience as a working class student at Cambridge. For the first time in Cambridge I wasn’t having to explain my frustrations gently. Here I was, part of a group of people who shared experiences. They did not do so from a position of well-meaning sympathy, but with real, heartfelt empathy. A year in to Cambridge life, I had finally received my first glimpse of genuine understanding. Having been raised in a very ethnically and socially homogenous area, I had never felt much need for this respite. It’s only because I was plunged into being a ‘minority’ at Cambridge that I came to understand the need for such spaces. I had simply never felt this separate before. It had never occurred to me that, in trying to convince my othered friends that I understood their troubles, I was likely reinforcing the narrative that minority frustrations are exaggerated or that people are overly sensitive. 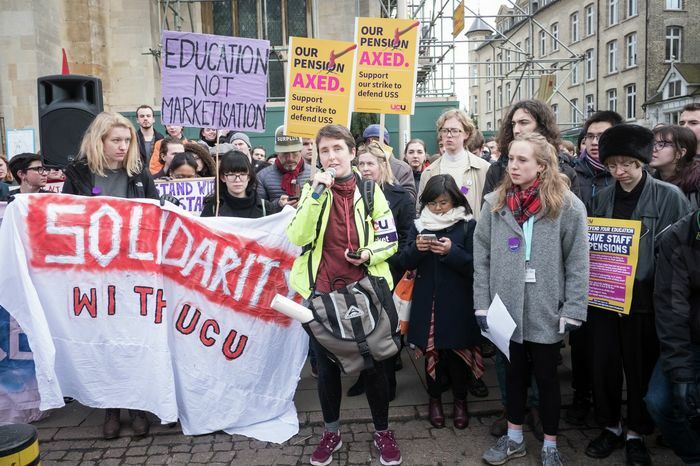 My experiences as a working class student at Cambridge have made crystal clear the difference between theoretically knowing about unequal treatment, and feeling the impact of it through every daily interaction. Having been involved with the deaf community for years I thought I was well aware of how condescendingly people treat individuals with chronic illnesses or disabilities. However, it was only through my experience of becoming a ‘minority’ at Cambridge, whereby I came to feel this identity daily, that this inequality was made clear to me. This was reinforced after I first fell ill at the end of my second year and came to experience the stigmas which exist around disability first hand. Comments from my closest friends in Cambridge made me doubt what both the doctors and my body were telling me. Questions such as “are you sure it’s chronic fatigue? I mean, we’re all tired,” accompanied suggestions of laziness about those who suffered from my condition. I was seeing my condition through the narrative that abled people had painted for me. This narrative downplayed the exhaustion not only of illness, but more damagingly the legitimacy of my condition. It’s easy to discount our own needs when they don’t match the needs of those around us. Finding other students with unconventional needs was the catalyst which encouraged me to seek change not only for myself, but for others, whose situations were often much more challenging than mine. We need to change our attitudes towards identities, as communities based on shared experiences are so important for those on the receiving end of stigma. We need to stop downplaying individual’s troubles, and instead encourage them to organise and work out their frustrations with people who can understand their struggles. Many of us deviate from a traditional ‘norm’ in one way or another, which is why it is so important that we improve how we deal with the different experiences those of different identities have. Finding ‘my people’ allowed me to recognise the validity of my frustrations and emphasised that I was not in fact a concession or a burden. The same forms of community created through identity are important for all who suffer from falling outside of what is deemed a ‘normal’ experience. In finding support from those who knew these difficulties I found the belonging I hadn’t realised I needed, and the drive to support others. And sometimes, that means accepting that I can’t understand every issue they face.